This Opticare Smooth Straight Professional Ultra Smoothing combo is provides you long lasting best result and keeps your hair smooth soft and shiny hair for long time. Matrix Opti Care Shampoo is the perfect solution for all those who love to style their hair and done a new look every other day. 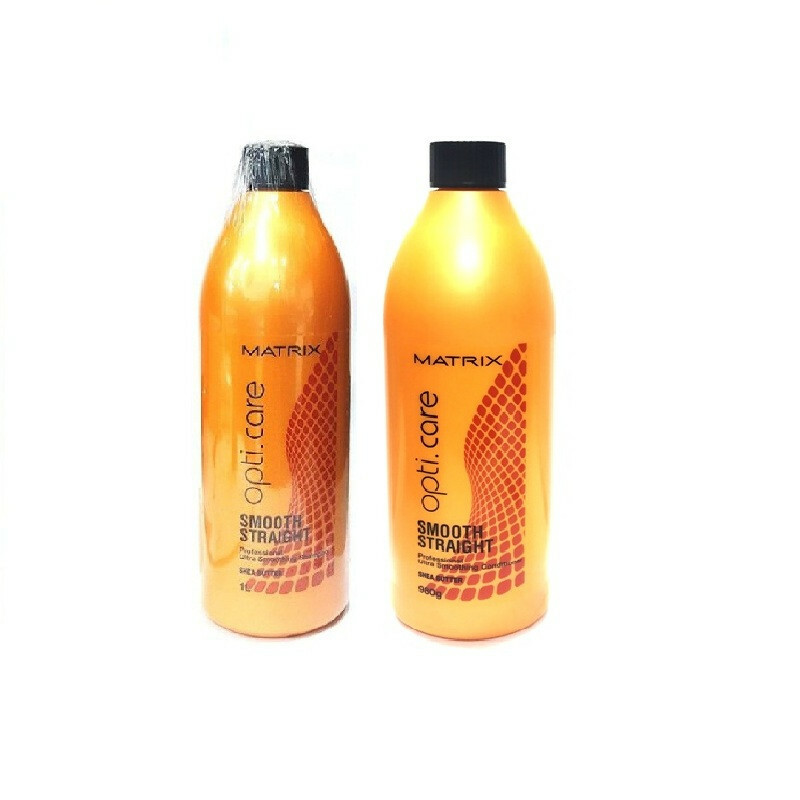 This shampoo makes your hair smooth straight and soft because its washes off the harmful effects of chemicals from your hair, leaving it clean and healthy.Matrix Opti Care Smooth Straight Smoothing Conditioner provides your hair with extensive conditioning and protects it against damage resulting from heat styling and other factors.